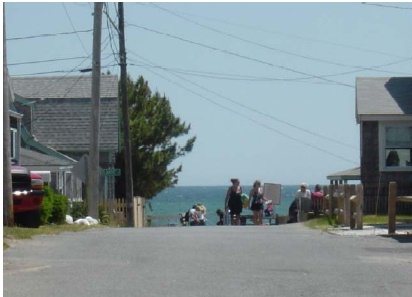 400 feet from the beach, this charming cottage is located in the family-friendly popular Campground area of Harwich Port. On the Nantucket Sound and a short walk to the picturesque town of Harwich Port, Kare-Not is ideally situated for your perfect Cape experience. AMENITIES: Four bedrooms (3 doubles and 1 single), one and a half bath plus a hot and cold outdoor shower. Sitting room with TV, DVD and video player. Kitchen with microwave, toaster, no w/d, phone, 2 fans, wireless broadband internet and Direct TV. Screened porch at front of cottage to watch the world go by.